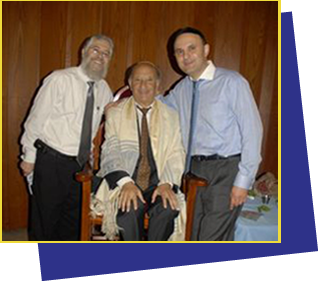 Yehuda and I want to thank you for performing a wonderful ceremony for our son. As soon as Michael was born we had no doubt who we would call to perform the brit. We were so pleased with the way the brit went for our son Daniel that we didn’t have to think twice for Michael. We appreciated the fact that you called us more than once to see how Michael was doing. Thank you for your caring and support. You helped calm a very nervous mother. Please feel free to give out our names as a reference. It would be our pleasure to recommend you. Thank you again.